If in London, don’t miss the Fashion in Film Festival, now in its second edition. 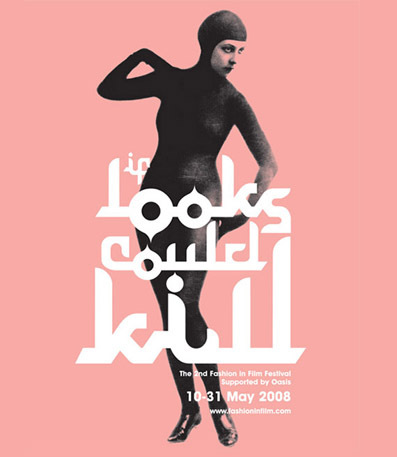 Co-curated by Marketa Uhlirova and Christel Tsilibaris and titled “If Looks Could Kill,” it tackles the links between fashion and crime in cinema--two inextricable themes, as the earliest incarnation of the cinematic woman of fashion—the vamp—perhaps starts to point out. The festival takes place across the city in a number of different venues and shows an equally diverse range of films, from Dario Argento’s terrifying horror movie The Bird with the Crystal Plumage (1970) to Cindy Shermann’s “darkly humorous flick” Office Killer (1997), and the silent film series by Louis Feuillade Les Vampires (1915) starring Irma Vep—perhaps one of the earliest yet most compelling incarnations of the feminine criminal in film. The impressive line-up of movies is matched by an equally impressive array of speakers, including the renowned film scholar Tim Gunning and the fashion designer Bella Freud, to name just two.